So basically, in conclusion, yes...yes I will accept the rose this week! oh em geee!!! I don't watch the show, but getting retweeted and replied to by someone famous is SOOOO EXCITING! Get that rose, lady!!! OMG!! How exciting that is so amazing…….. Sounds like both Chris' are practically your new BFF's! I follow Chris Harrison and this popped up on my feed!! LOVED it!! hahaha this made me SO happy when i saw this...also DYING at the gif. I never love the fantasy suite episode because I feel like it’s always sooo dragged out. SO jealous Chris Harrison tweeted you; your life is basically complete now!! I love that y'all are BFF's - this cracks me up! I love this!! 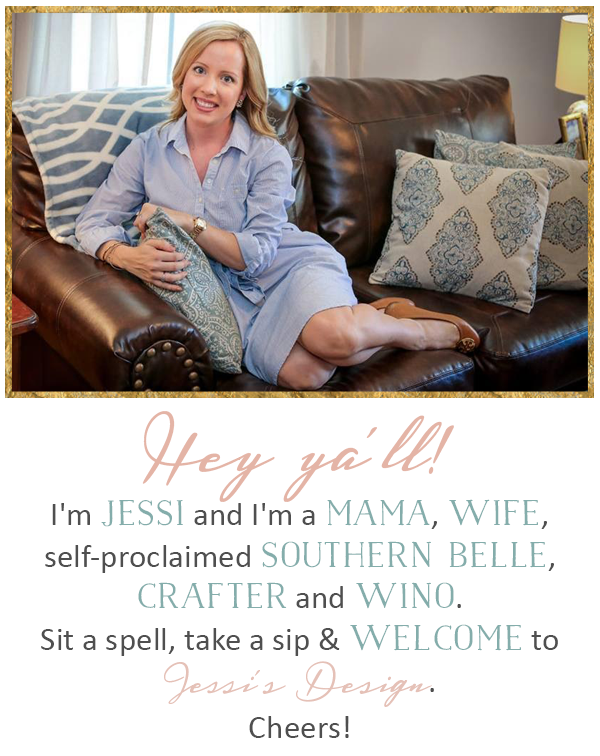 I think my fave part is Jessica Simpson GIF at the end. Priceless. Bahaha you're killing it on Twitter girlfriend! Twitter fame! You nailed it! This is so cool!! I will be watching tonight on my Apple TV since we don't have cable. I just wanna know who the bachelorette is gonna be! hahaha Love it! You're famous! Yay for being famous! I agree, Chris Harrison is awesome. hahaha that is awesome! I love being favorited or RT'd by a celeb! hahahah. That's excellent. You should frame these tweets. So I only read the first part of the blog b/c ididn't want it to spoil last night's episode for me. And the hubs worked late (and yes he secretly watches it with me) so we have to wait until tonite. But OHHHEEEMMGEEE on the tweet!!! Oh my goodness! That is so cool! I loved your post today-- You're hilarious! I always mock Chris Harrison and say, "COMING UP!" in his voice. Ya know how he says that before every commercial break? Also, is it really necessary for him to come out and tell us that there is 1 rose left? Ha. LOVE the Bachelor!! I remember Chrissy Teigen tweeted me back years ago and I about died!! I totally missed The Bachelor last night and forgot to record it!! Ugh, so what happened? Fill me in! Yes! 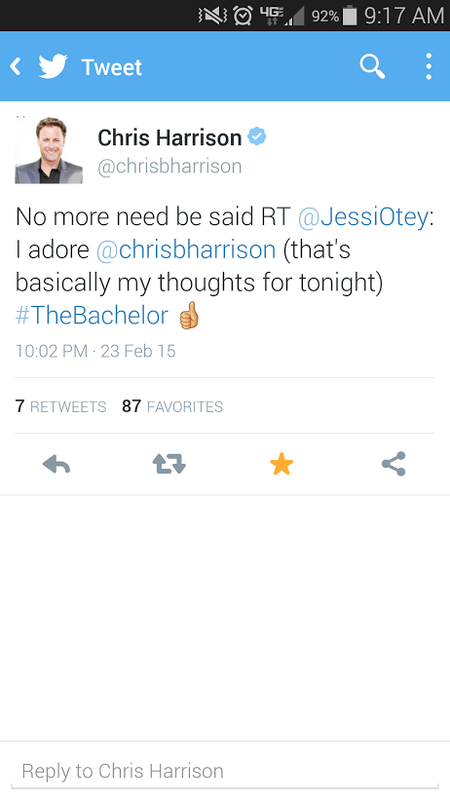 Love that Chris Harrison responded to your tweet this week. 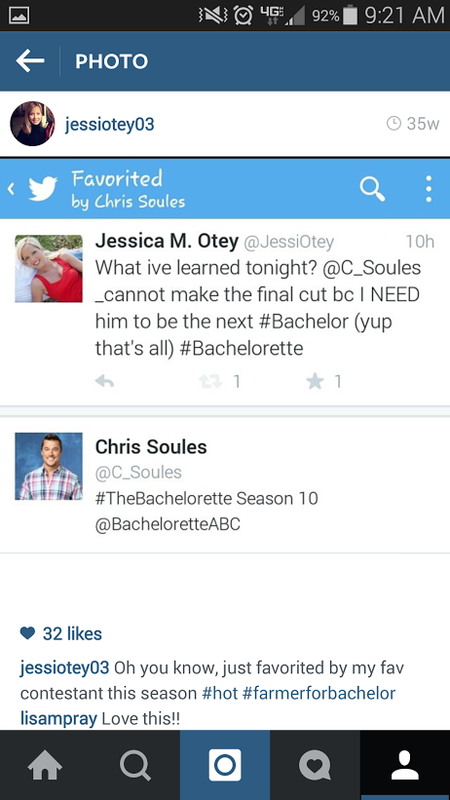 I still think it's hilarious that Chris Soules favorited one of of my tweets at the beginning of the season - ya never know what can happen! I have had the biggest crush on Chris Harrison for so long, haha - I'm totally swooning over the fact that you shared this Twitter moment!